Bo & Marowe Sanchez, Leaders of the Light of Jesus Family will speak on “How to Face Life’s Challenges Together” at Bo Sanchez’ Kerygma Conference 2016 – Forward. 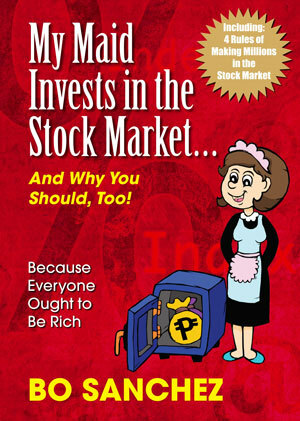 Bo Sanchez is one of the most sought-after speakers in the country today. He has written more than 40 bestsellers and is the publisher and main writer of Kerygma magazine, the longest-running Catholic inspirational magazine in the country today. He is a lay preacher, spreading God’s Word weekly at The Feast Bay Area prayer gatherings, and through his regular programs on TV, radio and the internet. Bo and his wife, Marowe, started Catholic Filipino Academy, a homeschooling program for parents who wish to focus on their child’s passions and maximize their potential. This entry was posted in Kerygma Conference and tagged Bo Sanchez, Catholic Filipino Academy, CFA, How to Face Life's Challenges Together, kerygma conference 2016, Light of Jesus Family, Marowe Sanchez, smx mall of asia, the Feast on November 7, 2016 by Bobet Prudente.